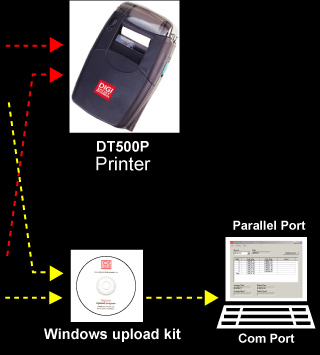 - Computer interface and software for DT500. Enables memory dump to PC. Dumps in text format. Easily imported into spread sheet for manipulation. 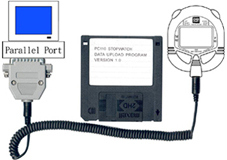 Uses parallel port interface. MUST be used in native DOS environment, will not run in DOS window under Win95/98/Me or NT. On 95/98/Me or NT simply select (start) then (shut Down) then select (Restart in MS-DOS mode). then run the software from the DOS prompt. 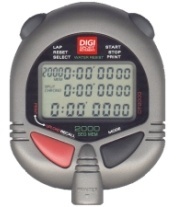 - Display of lap, split and running chronograph. - Measure up to 9 hours 59 minutes and 59.99 seconds. - 300 recallable lap and split memories. - Display of fastest (FS), slowest (SL) and average (AV) lap times for the lap traversed. - Electro-Luminescent back lighted LCD. 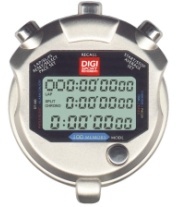 - Presettable countdown timer, maximum 10 hours. 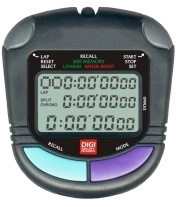 - Automatically recycles upon completion of cycles countdown and cycle counter to keep track of cycles counted. 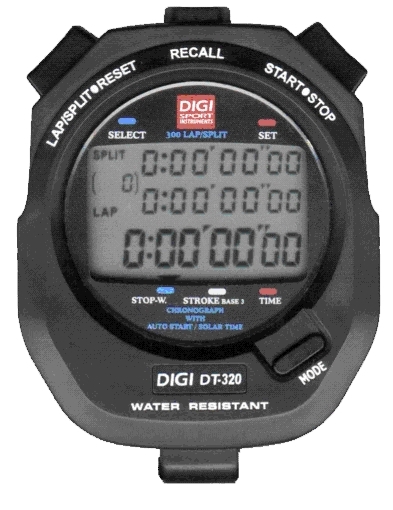 - 30 seconds shuttle-countdown for timeout period timekeeping. 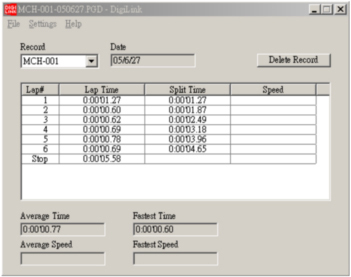 - Presettable from 10 beeps/minute to 320 beeps/minute. 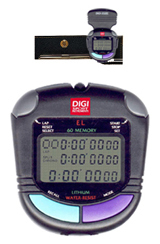 - Display of pacer frequency, beep counter and total time elapsed simultaneously. - Hour, minutes, seconds, month, date, day and year, auto calendar. - Alarm hour and minutes. - 12/24 hour and European calendar user option. 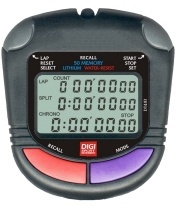 - Automatic release of LAP time after 10 seconds to allow progress monitoring. 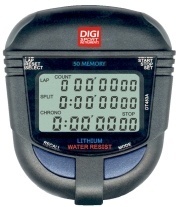 - Dual timers which start one after another for use in training programs. 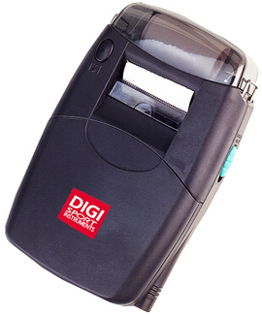 DT2000CO is an USB upload cable which allows the data upload from the stopwatch to computer. The data can be converted into Text format. 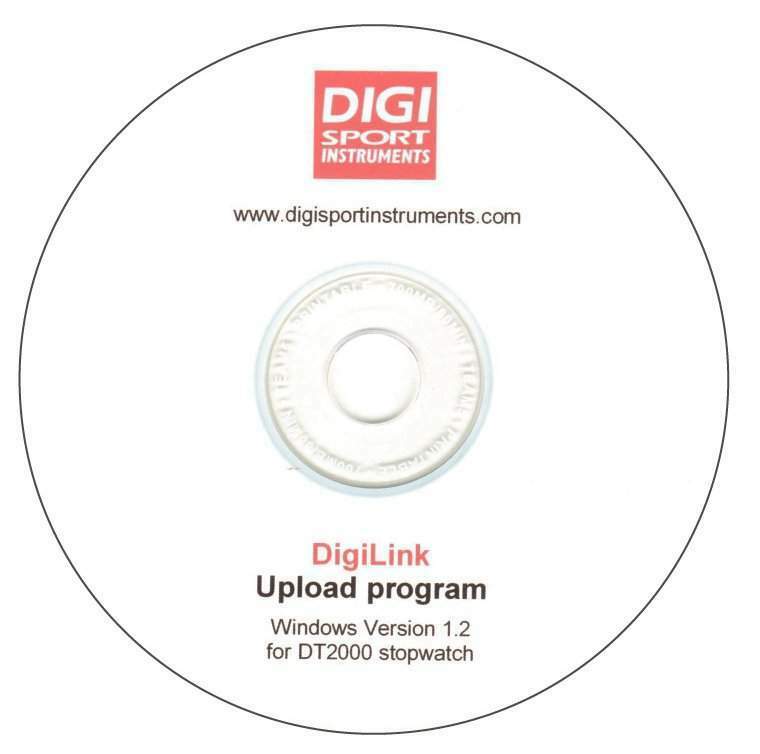 Before uploading data, please install the AU9720 IC driver. 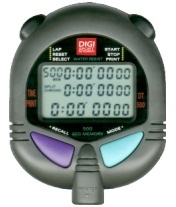 - Chronograph uses clock time as start, stop and split in solar time mode. - Chronograph can automatically start at a preset time in auto start mode.